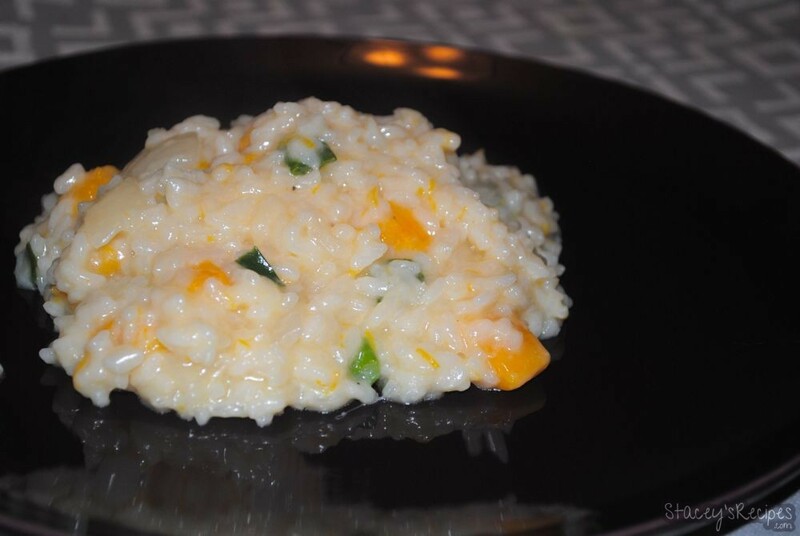 This is the best risotto I’ve ever had! It does take some patience with the constant stirring for 20 minutes, but man is it worth it! 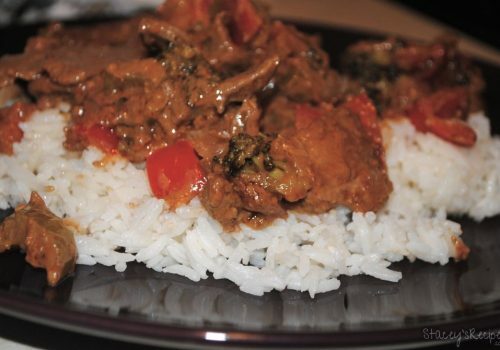 This recipe makes enough to serve 4, and still tastes amazing the next day. 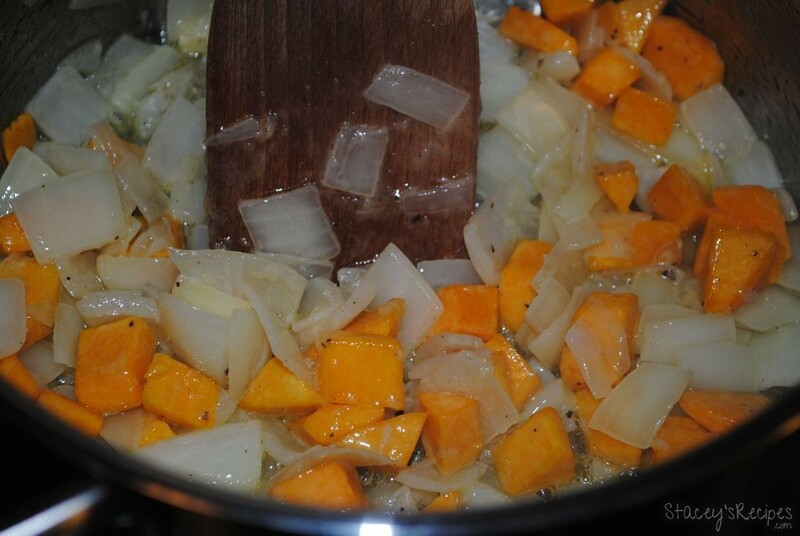 You don’t have to roast the squash before hand, just add it when you start cooking the onions. Or you can substitute vegetable broth – but I find the chicken broth gives it a good flavour. Enjoy! 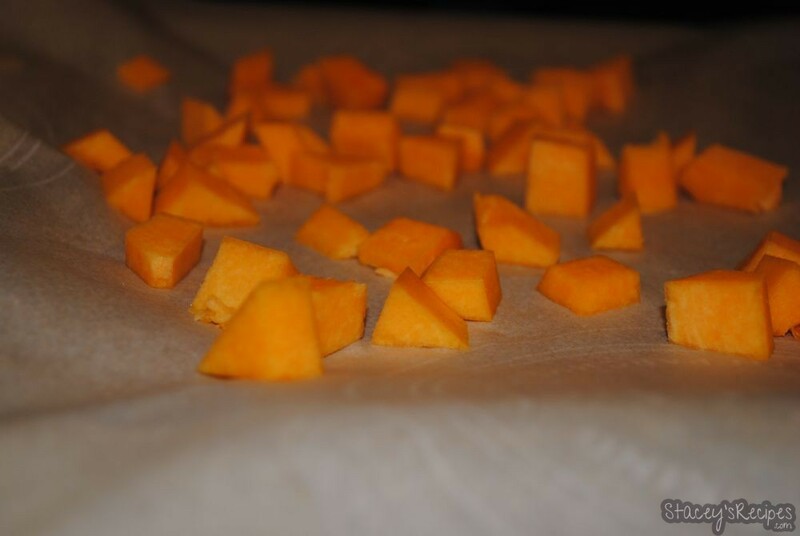 Cut squash into small pieces and place on a baking sheet with parchment paper. Roast squash for about 10-15 minutes until you can easily insert a fork without it being too mushy. In your medium pot add chicken broth, turn heat to minimum and warm. 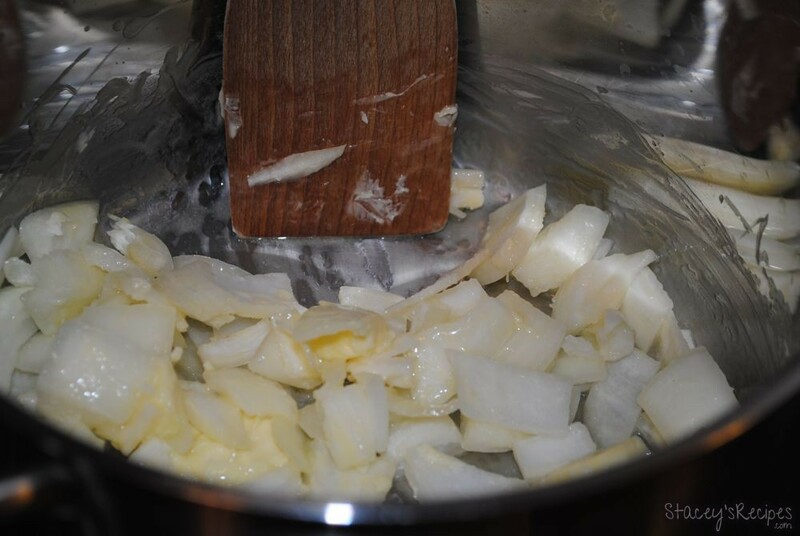 In a large pot add 3-4 squares of butter over medium heat and cook onions until they are translucent - stir occasionally - and add a pinch of salt and pepper. Add your roasted squash and stir. 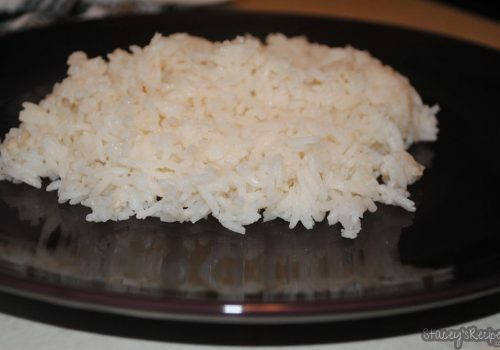 Add the risotto and stir until its combined. 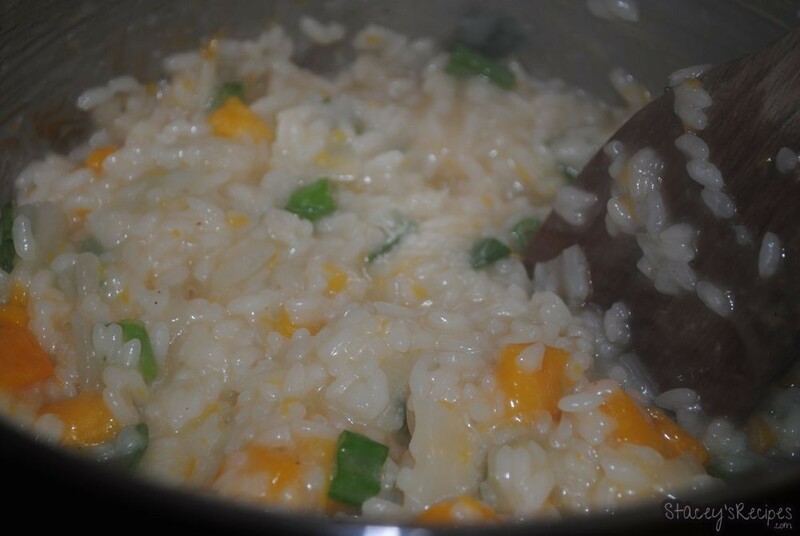 Add wine and cook until absorbed into risotto. 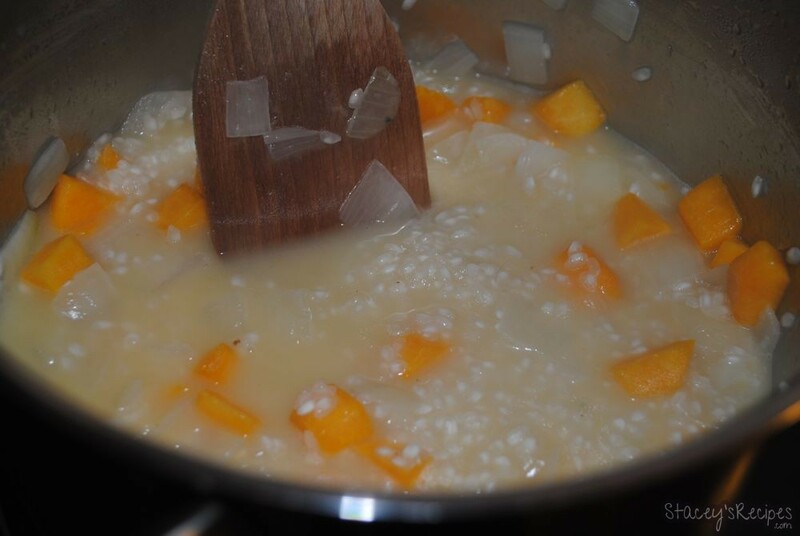 Add ladleful’s of chicken stock until risotto covered - stir constantly. 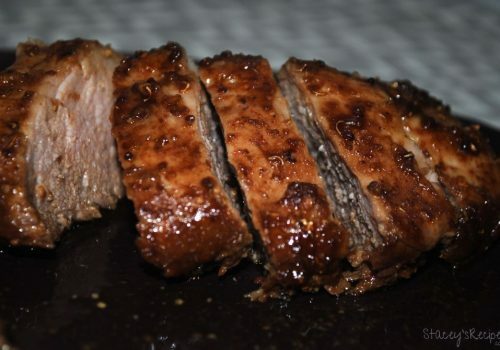 Add ladleful each time liquid looks like it is absorbing – total time should be around 20 minutes. Once done, turn off heat and add 1 more square of butter and green onions. Let sit for 5-6 mins to set.